Electoral officials have added 600,000 voters to a registry for this month's referendum on a new constitution. Political parties in Niger are congratulating themselves and the ruling military council after submitting an approved list of registered voters to the country's Minister of the Interior. Issa Moussa from the Nigerien Party for Democracy and Socialism said the approved voter roll indicates that the October 31 referendum on the country's proposed new constitution will take place as planned. The new list added 600,000 voters to the rolls, which makes a total of 6.6 million registered voters for the upcoming referendum. Voters will be asked to vote yes or no to approve the country's proposed constitution. 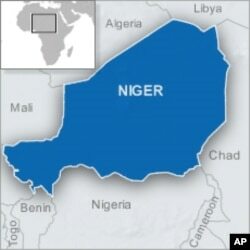 Niger has been under military rule since February, when the army overthrew President Mamadou Tandja after he came under local and international criticism for changing the constitution that removed term limits. Moussa added that the progress has shown a political will for opposition parties to work together. He said that ballots should be distributed soon. Ibrahim Garba of the Democratic and Social Convention party agreed the collaborative efforts showed positive development. Earlier in the process, proposed amendments to the constitution would have imposed educational requirements on presidential candidates. These requirements would have prevented the frontrunner from former president Tandja's party from running for the office. But last month, the ruling military council removed the requirements. Parliamentary elections are scheduled for January 2011, while presidential and legislative elections are slated for next March.